Local Townsville residents, Jean and John Benton, are the faces behind the NQ Pool Warehouse. Their family business has been adding joy and value to homes throughout Townsville and surrounding North Queensland areas for more than 23 years. As a family owned and operated business, we know that the most important thing to a family is time together, and we believe that a family pool is a great place to start. With the advent of the technological era we know only too well how challenging it can be sometimes to get the kids away from their screens and doing activities that build their physical, mental and emotional well-being. Many of our clients have thanked us for the positive changes that having a family pool has brought for the whole family, as they delight in watching their children be inspired for getting active and spending time as a family. As a family owned business we also recognise the financial constraints that many families face today, which is why our focus is on providing quality products and services at an affordable price. 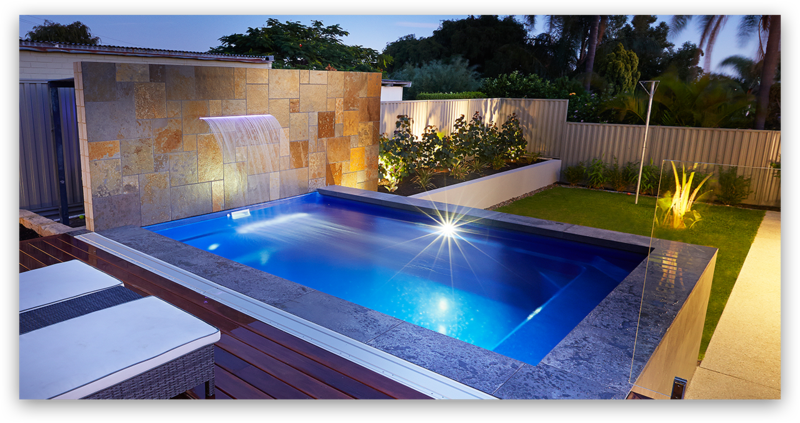 Our many years in the business has also taught us that different families have different needs, and we are confident that with our huge range of fibreglass and concrete pools, we can find a design that suits you to a tea. Our focus is on ensuring that you are satisfied with your pool, and we know that the best way to be sure about what you are looking for is to come and visit you at your home. We listen to your ideas and visions for your dream pool, and show you how we can make it happen. After we have assessed the area and gained an insight into what you want, we provide an obligation-free quote, tailored specifically to your requirements. Once you’ve made your decision, you simply hand it all over to us, and we make it happen for you, so all you’ll need to worry about is where you last put your bathing suit.